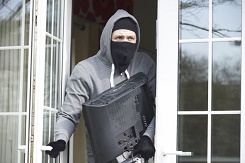 Pretty much exactly 12 months ago this week, West Yorkshire Police issued a warning to local residents following a sharp increase in burglaries as the weather became warmer. This increase was unprecedented and most were connected to an insecure burglary – where entry is gained via an unlocked door or open window. Last week we posted our own warning about leaving doors and windows unsecured as you spend time in the garden or have kids running and out of the house as they enjoy the sunshine, but this clearly demonstrates just how much the risks increase when the weather gets hotter and the school holidays start in earnest. Obviously, last year’s increase was unprecedented so we don’t know whether we can expect to see the same kind of trend this year but we would hope that people, with the benefit of hindsight, take heed of these warnings and don’t give the burglars the opportunity. After all, nothing can ruin your summer more than having a stranger enter your home and help themselves to your belongings – all for the want of keeping your door locked. See the police warning from last year here. See our recent tips for preventing an insecure break in here. If you would like security advice from one of our engineers, give us a ring on 0345 833 5543 or call into our security shop on Roundwood Industrial Estate in Wakefield.